The 3rd generation (W30) Toyota MR2 Spyder was the last version of Toyota's mid engine runabout to be sold anywhere in the world. It was a great handling little car and I recall driving one new at a dealer's lot back around the year Y2K. It was light and superbly balanced, the only complain could have been that the 138 horsepower inline-4 was slightly underpowered, but it is more fun to drive a slow car fast, than a fast car slow. 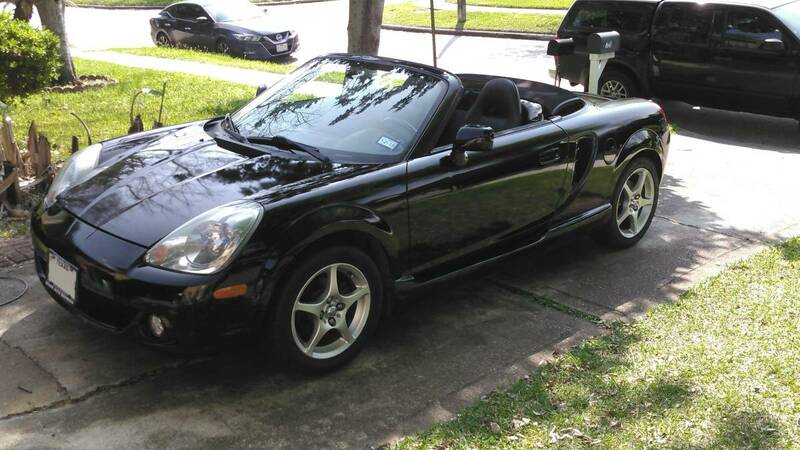 Find this 2003 Toyota MR2 Spyder offered for $5750 in Pearland, TX via craigslist. Tip from SecondMouse. 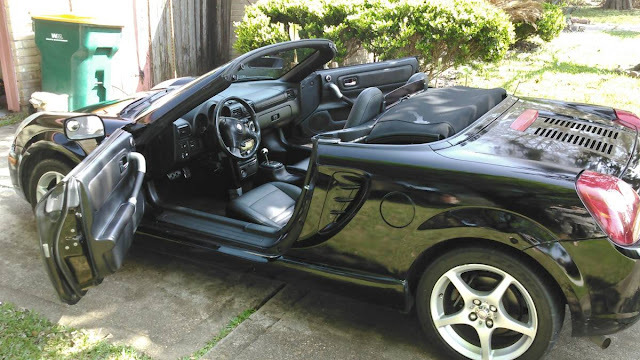 Good condition 03 MR2 Spyder convertible with the 6 speed sequential manual transmission (SMT). Good body 7/10, only minor flaws, runs and drives excellent. Very clean inside, AC blows cold. New ultra summer performance tires on the rear, oil has just been changed, and brakes were just inspected. Comes with full sized spare tire on matching stock rim. Clean blue Texas title in my name. Just in time for good weather! Anyone here ever driven one? I have not but would like too. I did not know they had such low HP. Needs a supercharger. Not so much horsepower, but also not so much weight. This is the first one I have seen in black, which sort of looks like Darth Vader's handbag. I recall seeing a video comparison of this car and the same era Boxster (non-S model) and they were very evenly matched on acceleration and handling. I would assume the Toyota has much better reliability and lower parts costs, plus I believe there are a few turbo kits available if you're looking for more oomph. Almost bought one a few years back but went with a Miata. MR2 is more unique but no trunk space and you are driving what people called at the time a poor man's Boxster, which in turn is a poor man's 911. That's a little unfair but it is what it is. Plus people remember the much better earlier supercharged MR2. Miatas are great cars BTW. I certainly would not assume a Toyota is more reliable than a Porsche.